Zoho Sign is a digital signature application for business. 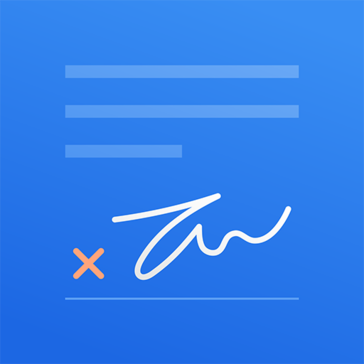 "Convenient signing tool that integrates well with software I use"
The process of signing digital documents is very easily done in the app or through my email. Many of the documents I receive that need to be signed are emailed to me or shared in cloud storage services like Google Drive or Dropbox, so being able to sign through those platforms is a huge plus. The price is reasonable and worth the time I save from processing signatures completely in the digital space. I think there generally isn't anything significant to dislike. Some people I work with don't really like using Zoho Sign or find it confusing. I've gotten complaints from people that got an automatic reminder to sign a document. It's not something that happens often though. I recommend Zoho Sign as an effective digital signing platform with good flexibility, messaging and accountability tools. If you currently only sign documents with a pen, I think Zoho Sign can significantly improve the way you do business. If you're already using other Zoho software, you should be able to use Zoho Sign seamlessly with several other Zoho applications. By using Zoho Sign, I've been able to streamline the document signing process and improve the tracking and accountability of the workflow involved. Zoho Sign has given me very helpful features for adding document fields and distributing documents in an orderly manner for signing. I can set timers on documents, which often encourages signers to sign documents quickly. "Zoho Will Connect All Your Teams Using A CRM That Is Way Ahead Of It's Time"
Integration, integration, and integration. It also very intelligently embeds your inbox into the CRM app. Very thoughtful design with a sales rep in mind. They have really listened to the customer. Sales insight that seamlessly connects the marketers to the sales team is really intelligent. Some of the apps are still buggy and the UI could use a little updating. I think that Google Docs is still better with doc editing and sharing. Perhaps a desktop word editor would help make the experience better. Training is essential. Get more video tutorials out there and show people how to gain all the effiecnies they can. The ZOHO Sign Product is straight out the box easy. The product setup and user experience walkthroughs is very straight forward and thorough. Then there is the product useage, with our workflow it was easy to integrate the product usage into our existing processes. Our adoption if the product internally went without a hitch. The ZOHO Sign Product has some drawbacks. the feature set claims to be in parity with some other marquee players in the e-signature industry, does are not completely baked. For instance with our CRM tool we have to create a multi step process to initiative a signature in a document then attached the completed document to the account in the CRM is cumbersome. A solid e-signature platform that rivals marquee players. If you can go without a top tier name, than ZOHO will do the job handily. "Digital signatures made easy with ZOHO SIGNS." Best auto signature software, interface is good which helps me in signing different documents and tamplates, there support team are very helpful and we use zoho at so many platforms ,this is even cool made all the works easy and ready to go in no time. i am using this software for so long time , there is nothing to dislike about zoho signs . i highly recommend zoho sign ,to every business whether it is small or huge bussiness firm, adopt techonology and make it automated insted of doing manually , i rate 4 out of 5.
helps me save my time and generating different designs of signs, i can choose from a bunch of tamplates ,and i can directly integrate signatures from zoho writer. I like zoho signs because it is very simple to use , and even i can easily ask for signature right from within zoho writer , the interface gets the job done for us. I don't have any complains or there is nothing to to dislike , i am pretty surprised by using such a good tool. And many more functions , as per my poit of view everyone should try this once. Free to use Helps me save my money on other softwares and save my time., Electrically generated signs with different designs , and from the choice of many different tamplates i can make it more attractive. Zoho Sign is best , as we are utilizing Zoho platform for many other things and its very simple to use , now i can set number of tamplates and integrates everything with a click of a button. All the audit trial isn't automatically emailed with the sign documents, we have to sent it manually, and the free version only let uh do 5 documents a month. makes everything easy like to upload documents and clearly label with all the needed information and ,I can easily integrate signature right from within Zoho Writer (using Zoho Sign). The first thing I care for these types of apps is that It should be secure as I might use important documents so i should make sure no info might get out of it. as I know they use public key cryptography with AES-256 encryption which make me feel more relaxed about security. There are other features that I like about it like Importing documents from third-party applications , Signer authentication code that it use and also its templates. Actually i didnt find negative points in this application. This is a secure application and so flexible as you can use your own brand and their templates and every thing will be done so fast and without useless extra work. The main problem is the security of our documents and as they use bank-level security so we have relief in this case. besides the people who sign it can access to it via any operating system or device. We get rid of printing, scanning, and forwarding documents and by using their template and bu using email the signee anytime can do the sign work. "Cheaper than DocuSign, not bad at all"
It's cheaper than DocuSign. It's such a simple solution (signing papers online) that should have existed ages ago. If Brand names don't matter to you and security is not the top concern, Zoho Docs is totally recommendable. The main feature is signing documents such as contracts - that's what we use it for. "Zoho Sign provides an easy to use solution"
The ease of use for our clients to sign documents makes it really easy. There is a lack for CRM and 3rd part integration with Zoho sign. This allows our clients to sign contracts and documents at any time and not have to worry about scanning and sending PDFs or coming to an office. Zoho signs makes documents easy to upload., You can create a personalized template and save it for reusing , and it even contains multi-language support. Fail to start , when too many signs were uploaded at a time. I recommend zoho sign more then any other other tool. Expedite document signing ,secure signed documents are some major problems which i able to solve with zoho sign. "Great software for software signature work"
The software is easy to use and has a great interface. I like the fact that I can navigate around without complication and the work gets done easily. Not much really. Sometimes it s not as well presented as Adobe acrobat. Easy to use, easy to integrate in your company. Thank you for your feedback, Maurice. We're very glad that you like Zoho Sign. Continue to use our service and keep supporting us! I liked that it was easy to use the signing feature to personally sign my document eletronically. I disliked that I wasn't able to preset the signature with many font choices. Easily approve documents from wherever you are. "Sturdy from the Zoho stable"
Well executed from the trusted Zoho brand. Integrates well with their suite. No genuine product concerns. It isn't as widely accepted as DocuSign. DocuSign is more widely accepted. * We monitor all Zoho Sign reviews to prevent fraudulent reviews and keep review quality high. We do not post reviews by company employees or direct competitors. Validated reviews require the user to submit a screenshot of the product containing their user ID, in order to verify a user is an actual user of the product. Hi there! Are you looking to implement a solution like Zoho Sign?